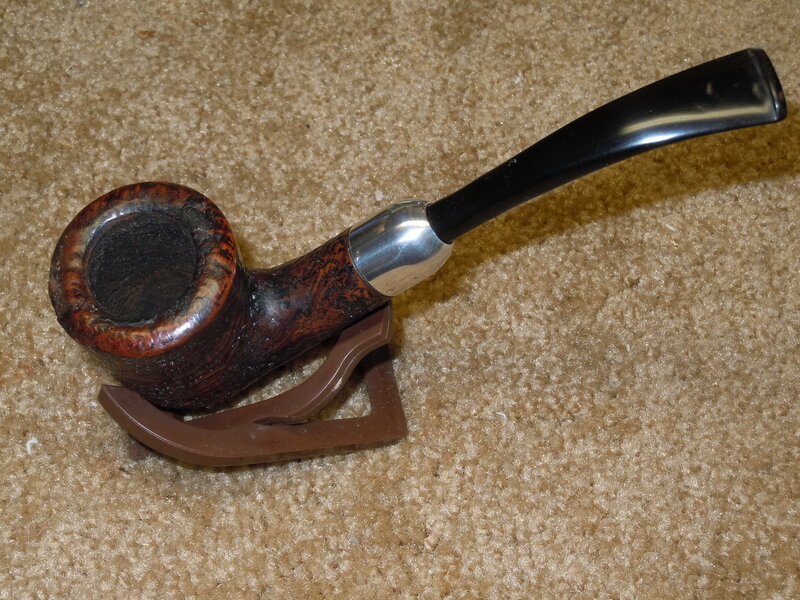 Recently I bought a GBD New Standard 9442 on eBay in which the seller said had been “professionally” cleaned. 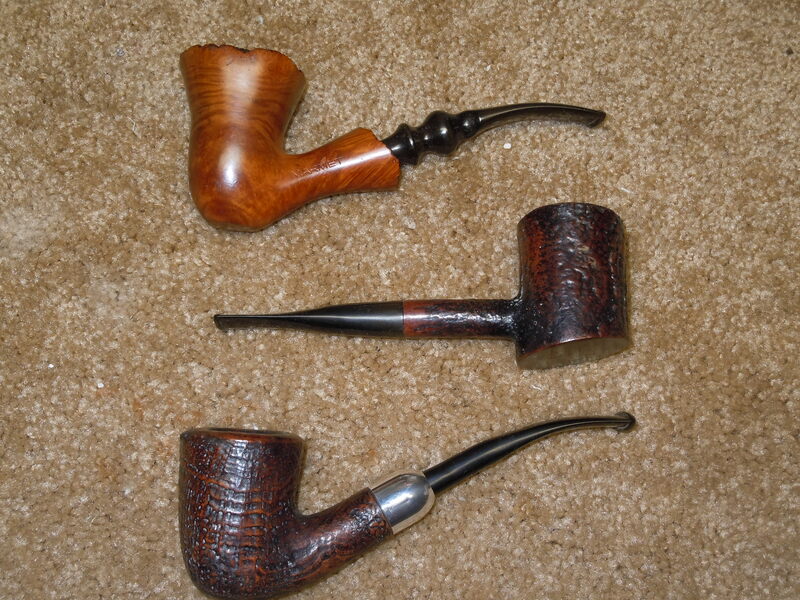 The photos online looked ok and I bid on the pipe. Upon receipt I was disappointed in the condition. It would not even pass a pipe cleaner. 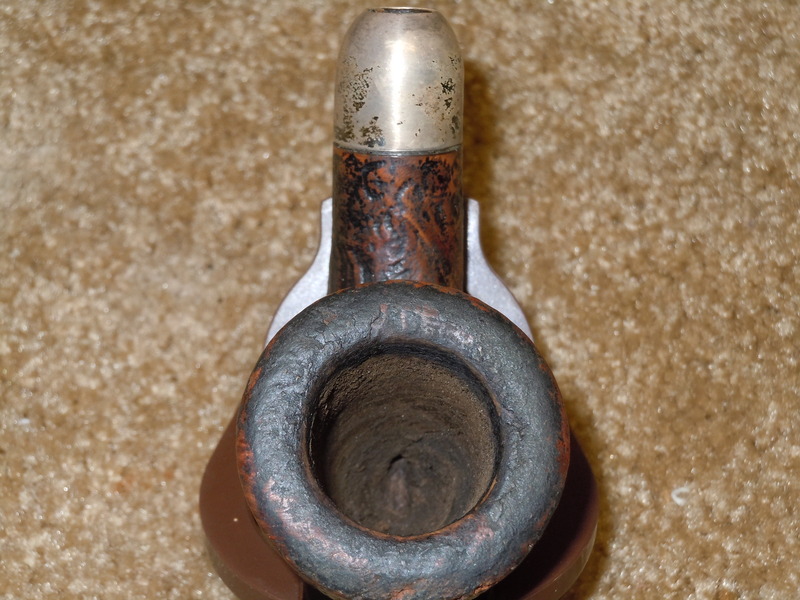 There was a lot of tar built up in the base of the pipe and the stem was plugged solid. I went through a number of pipe cleaners and cotton swabs to get it cleaned. The stem had a couple of tooth marks and a crack in the bottom of the stem. Using the black super glue I tried to fill the tooth marks and repair the crack. I soaked the stem in oxyclean and again in alcohol to get the deep oxidation loose. Then using wet sanding from the 1200 – 4000 micro pads and then going up to 12000. 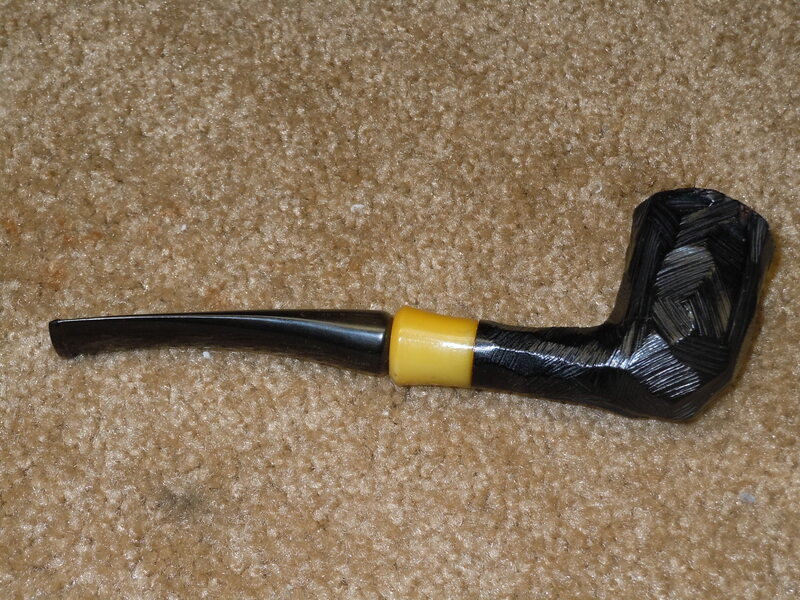 Obsidian oil was used to make the final stem polish. Once it dried I took it to the wheel and buffed it. 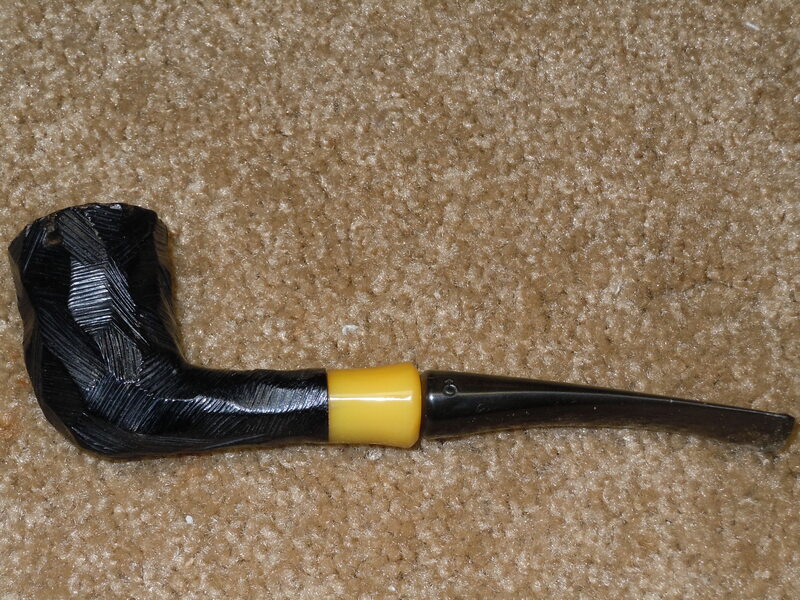 Dr. Grabow Royal Duke Re-Stemmed and Reserected! I was finally able to complete the restem of the Royal Duke I have been working on for some time now. 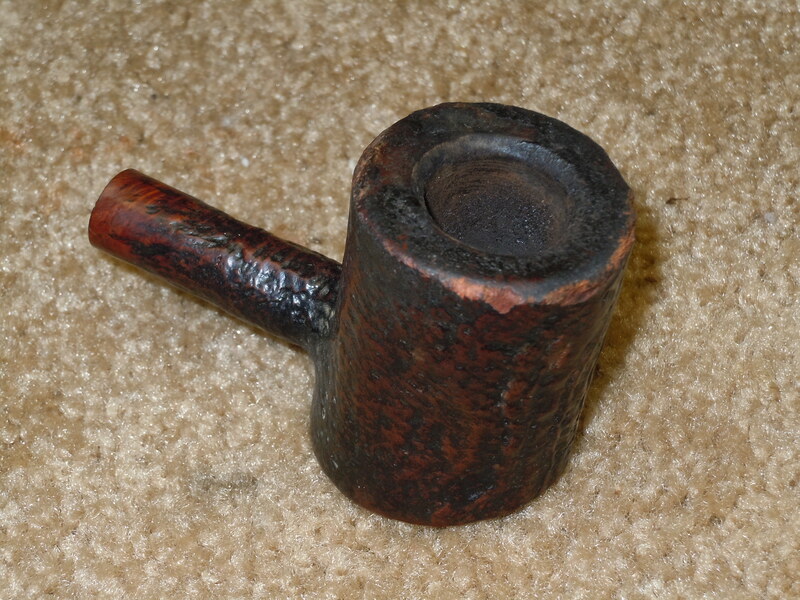 I bought it on eBay as part of a group of no stemmed, in need of care, bowls. The over all condition was not too bad. So I gave it a good ream, clean and salt / alcohol bath. The stem selected was a new vulcanite that was too big all around. So using the PIMO tenon and Dremel tools was able to get the size and shape I needed. Next up was to hand sand with the micro sponges at first I used the 1200-4000 with water to wet sand. Then after the stem dried I used the same three pads dry and went up to 12000 grit to get as much of a shine as I could. 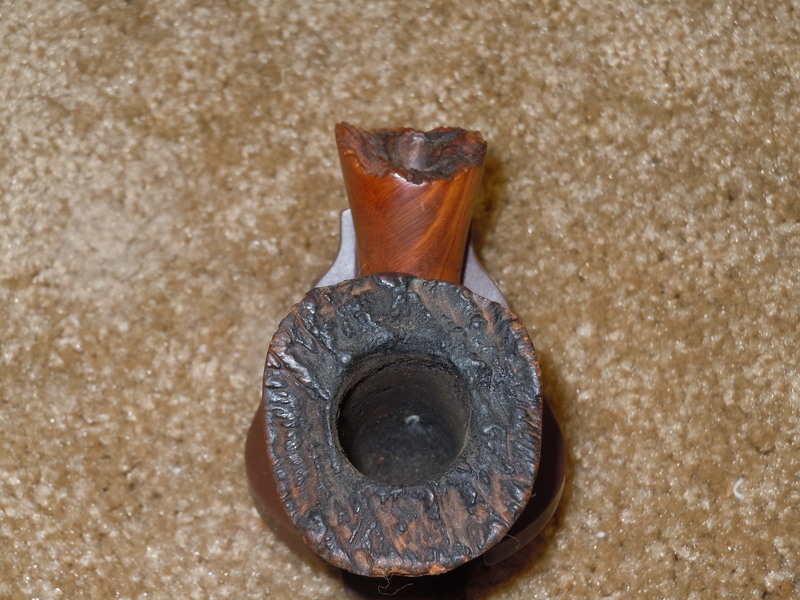 Finally using Brebbia Stem Polish and a nice fleece rag was able to get a nice shine to both the bowl and stem. 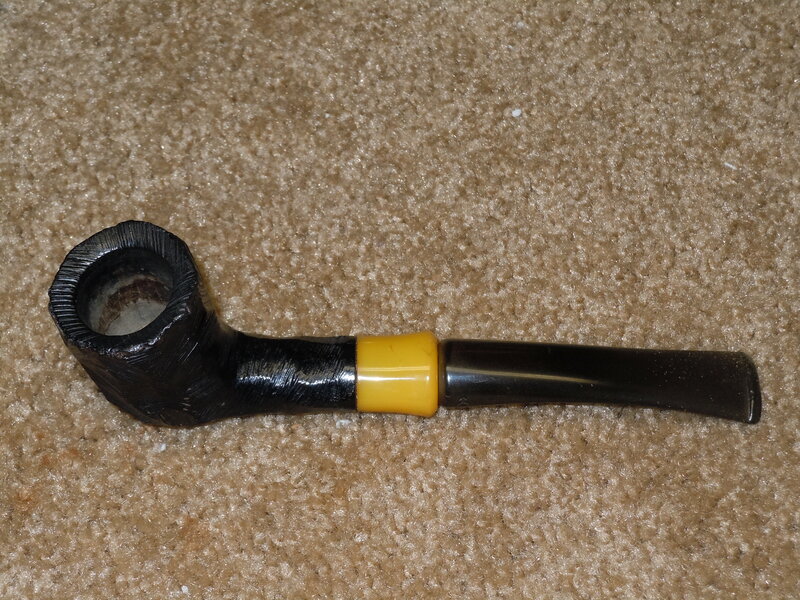 Author ReserectedPipesPosted on July 12, 2014 July 12, 2014 Format ImageCategories UncategorizedTags pipes, reconditioned pipes, restored smoking pipes, restored tobacco pipe, smoking pipe, tobacco pipe, tobacco pipes3 Comments on Dr. Grabow Royal Duke Re-Stemmed and Reserected! 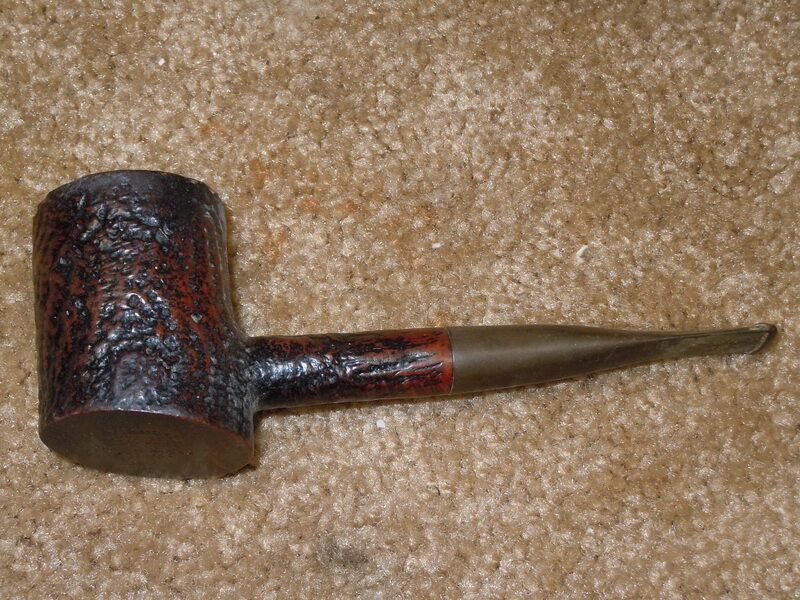 I found this Kaywoodie on eBay a couple of months ago and have been trying to decide what to do with it. It showed OK in the pictures and when I received it it had showed promise. You can see by the shape of it, the thread style, that it had several different layers of finish on it. The cake in the bowl was irregular but not too bad. The rim is tarred and looked like it had been scraped. The first thing I did was to remove the cake and use salt and alcohol to clean it. The rim needed a lot of attention so I sanded it on a table top with 320 grit sand paper. Next, I took the bowl and soaked it in an alcohol bath to loosen the finish. Once it came out of the bath I had to use various means to get the three finishes off. I used a wire brush on a Dremel; a wire brush, and I found that a grinding-bit that is for the Dremel did the best job. By using the small grinder-bit by hand I was able to get the remaining finish off and keep the form of the lines. The stem had light chatter on it and I used 1200 to 4000 grit sanding sponges and wet sanded the chatter out. 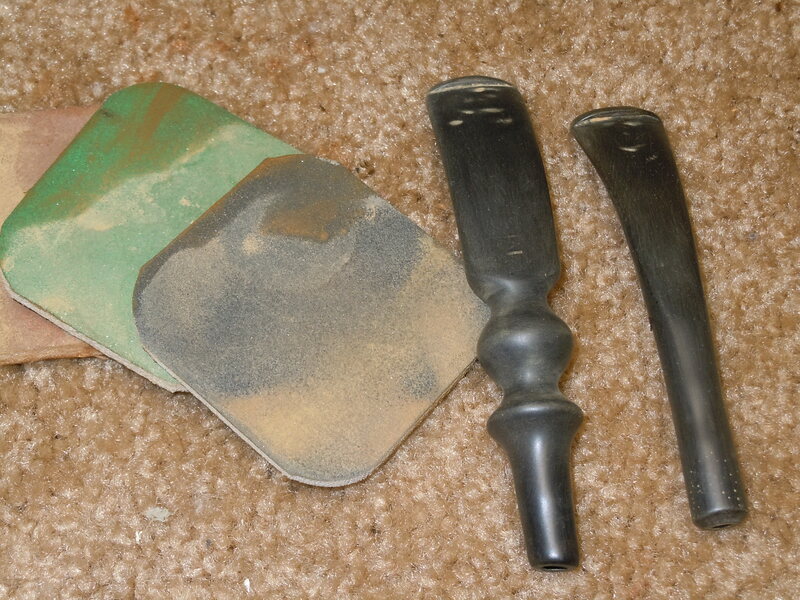 I then went through 12000 grit sponges to get the sanding marks off. The stem dulled as it was plastic and I am not familiar working the plastic stems. 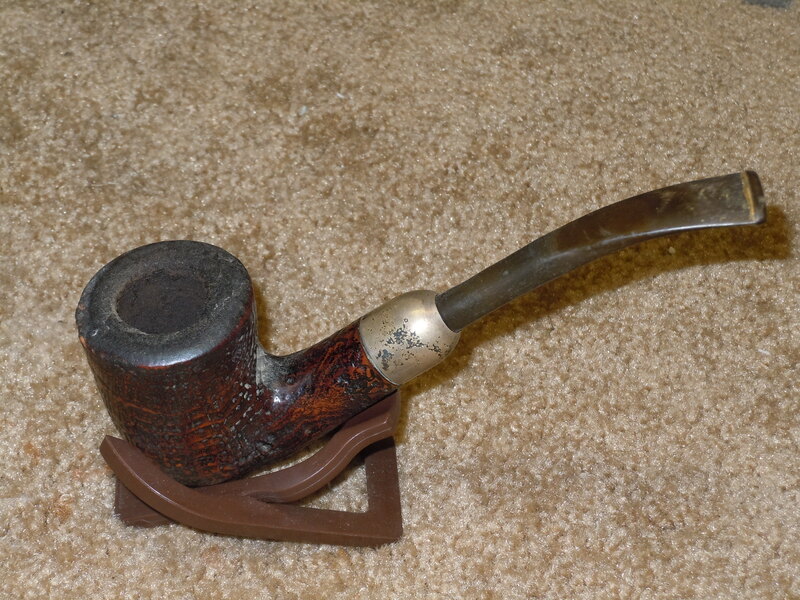 I used Brebbia pipe and stem polish to bring it up some more. 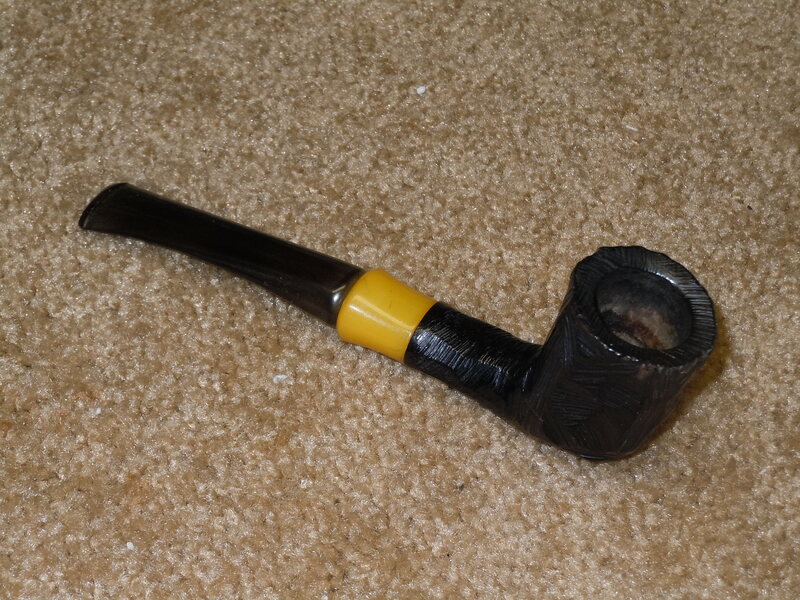 It still had a slight dullness to it so I put out a call for help on the PSU pipe forum to a friend Coastie. He suggested I use tripoli and white diamond as well as olive oil. This advise worked like a charm! The stem came up just fine. I next restrained it with Oxblood stain using several coats and set it with a flame. When the color looked OK I then worked on getting the finish and shine back onto the bowl. I used tripoli and white diamond and gave it a coat of wax and buffed it with a terrycloth rag. It should give many good smokes to come!